Saturday Night was one that had a lot of people surprised as Barima Kamoko, a.k.a. 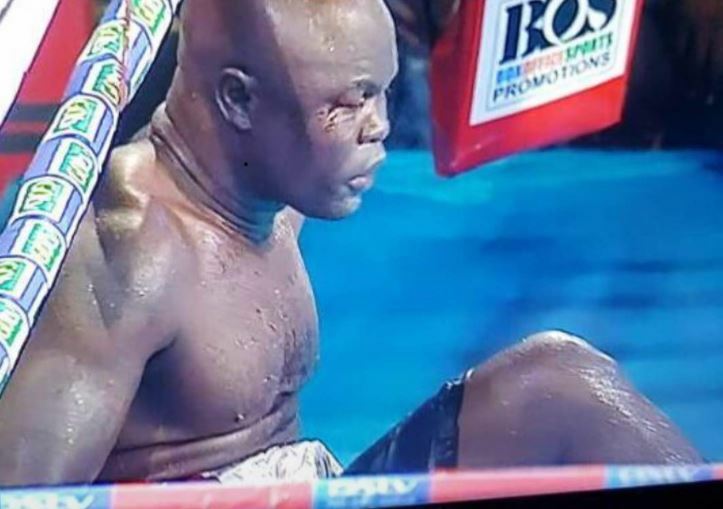 Bukom Banku lost a fight for the first time in his entire career. Banku was stopped in the seventh round (exactly the number of balls of banku he ate before the bout) by Basti Samir. “I have nothing much to say. You see, before Barima enters any fight, he takes banku. He always wins in the round that represents the number of balls he takes in. This time round, he took seven so we were confident that he was going to Knock Basti out. However, it was the other way round. He has vowed to go for a rematch.